There are many myths and misapprehensions about addiction—but none are more dangerous than this one: The myth that addiction only touches certain people, or perhaps certain kinds of people. The myth that addiction happens to them, but it could never happen to you. The reality is much weightier, more pervasive than that. Addiction is an equal opportunity offender. It does not discriminate. It can impact anyone—including you, and including your family members. Certainly, addiction is unbound by things like gender, race, ethnicity, age, and affluence. Many people who struggle with addiction fall into demographics that might surprise you. For example, drug abuse and alcoholism are both tragically common among the wealthy. Meanwhile, the prescription painkiller addiction epidemic is most clearly seen in older Americans, even senior citizens. There are a number of implications to all of this. One, it is important to be alert to the signs and symptoms of addiction—not just in your own life, but also in the lives of your closest friends and family members. Your loved ones are not immune to addiction, but if you are alert to the warning signs, you may be able to encourage them to seek treatment and care at an early stage. Another thing that is implied by all this: We must break down the barriers of stigma. Addiction is a disease that can impact anyone, and as such, it is not something to feel shameful about. It does not mean you are weak, it just means you need to seek recovery. That is the final point to make here. While nobody is immune to addiction, nobody is impervious to recovery, either. Addiction is never hopeless. Addiction is never insurmountable. 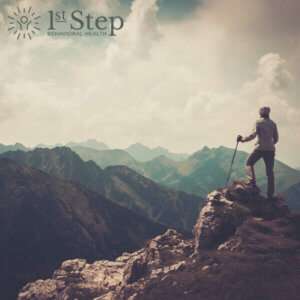 The important thing is to seek treatment from a clinical setting; contact First Step to learn how the healing process can begin. What have you done to break down stigma? Share your story!